We Buy and Sell Vintage Audio! We purchase a select number of items of vintage audio made between 1958 and 1990. We also sell vintage gear that we have serviced and provide a warranty on. However, due to ever-changing inventory, we ask that you call ahead with what you're looking for. Turntables - MUST HAVE A DUSTCOVER! Speakers - Good cosmetic condition & have grills. Home audio primarily. No large or pro sound. Amplifiers - Standalone power amps and integrated amplifiers. No Pro sound. 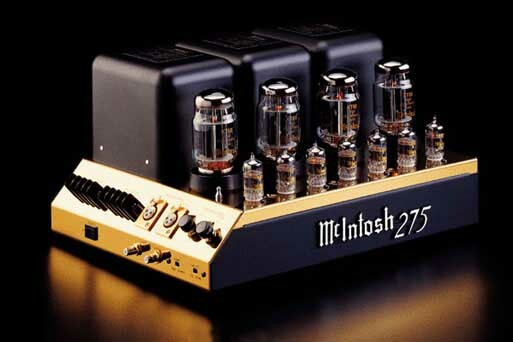 Tube Gear - Preamps, integrated amps, power amps. Cassette Decks - Primarily Nakamichi, but others considered. Call ahead, please. PLEASE READ PRIOR TO COMING DOWN! We are a Licensed Second-Hand dealer with the state of california, so we must comply with the laws regarding the purchase of used merchandise. This means that you must remain on the premesis, and be willing to have your driver's license information and right thumbprint submitted to the DOJ to verify the equipment is not stolen. - Items WILL be examined and tested for operation while you wait. We won't buy it if we can't examine it. - We service or restore everything we purchase, so we will NOT pay ebay prices due to time needed to do this. We pay wholesale prices for gear. -If you choose not to sell the item to us, we charge our standard $15 examination fee. This fee is waived if you sell us the item. We do this to weed out those who in the past have used "intent to sell" as a means to get a free examination of their equipment from us. - We pay for our items using a check. We DO NOT pay in cash.